Adobe Illustrator arguably is the most popular software for vector designing. However, we cannot deny that it comes at a hell of a cost. Its price tag is one of the prime reasons it doesn’t fit in most of our desktops. We are thankful today that we have comparable Adobe Illustrator alternatives, which wasn’t the case a few years ago. Some of these alternatives come at almost zero cost. Isn’t that beautiful for independent artists? Vector graphics are preferred for many designs and illustration projects, especially for logos and website graphics. 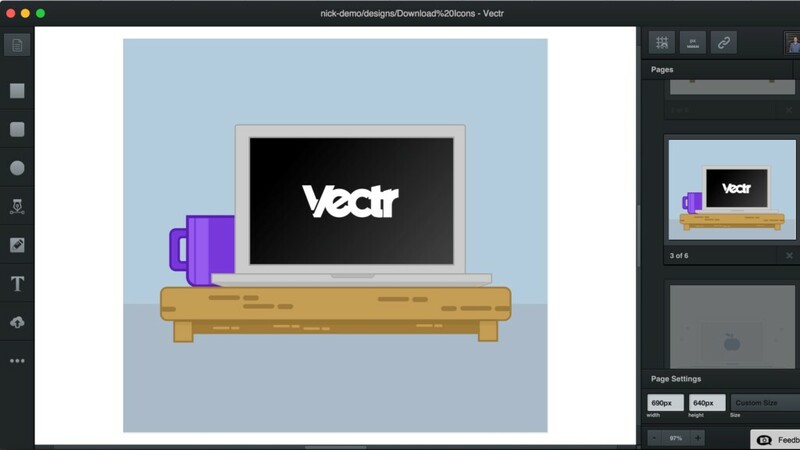 In 2019, Adobe Illustration happens to be the industry standard tool for vector projects, especially for SVG. That is why we have included options that support SVG format and at the same time, doesn’t kill your monthly budget. The listed Illustrator alternatives will allow you to design quickly and confidently. 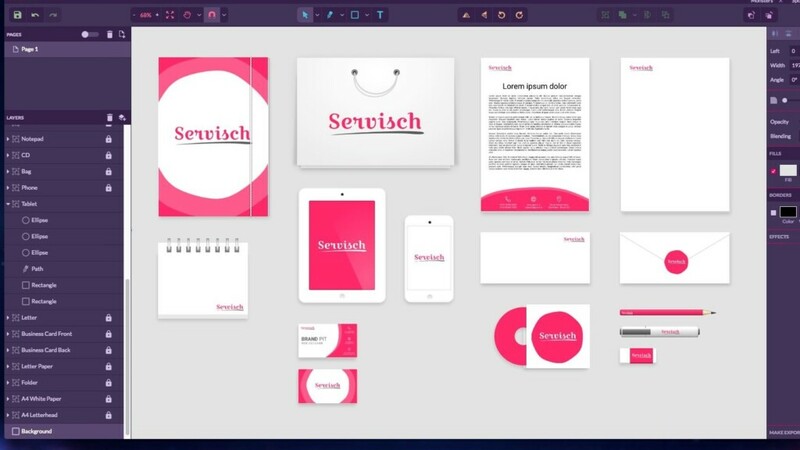 These sophisticated tools have some of the most advanced color controls and creative effects for your drawings and typography. With this list, we have tried to show you some more comprehensive vector graphics environments. Today, whenever a useful software commercializes, a group of developers comes together to develop a comparable open-source project. Inkscape is that feature-packed open source application. Inkscape is an excellent graphic designing tool that is hugely adaptable to a wide range of graphics formats. It is also very powerful. As a result, the heavy vector projects can be designed and edited on this software like a breeze. “If you could do it on Adobe Illustrator, chances are you can also do it on Inkscape,” is the popular saying among the designers. 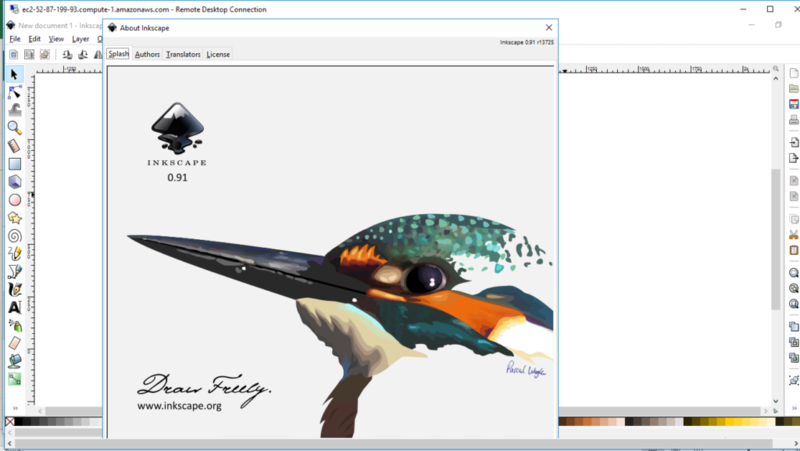 The saying is a bit snobbish, but I think it delivers what Inkscape is designed to be—a free alternative to Adobe Illustrator. As a designer, you must give it a try and check why it’s so popular. 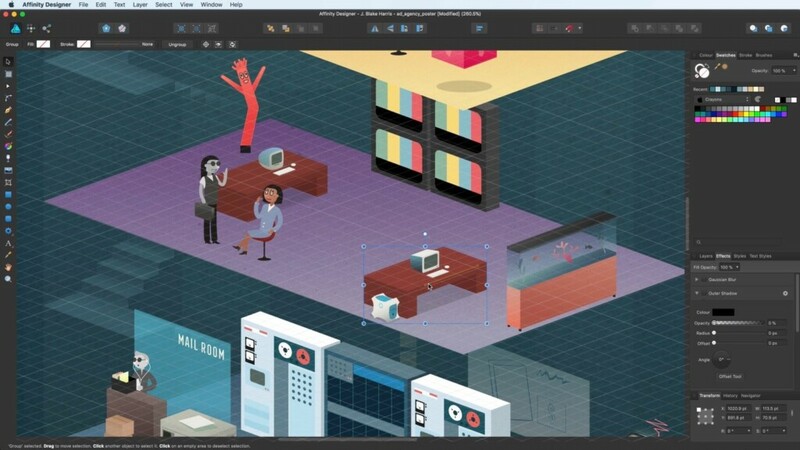 Affinity Designer advertises itself with the phrase – ‘fastest, smoothest, and most precise vector graphic software.’ The phrase isn’t far from the truth. When we tested the program, it stood on its water and performed excellently with a wide range of tasks. It has a one-time payment model, compared to the recurring payment model of its competitor Adobe Illustrator. 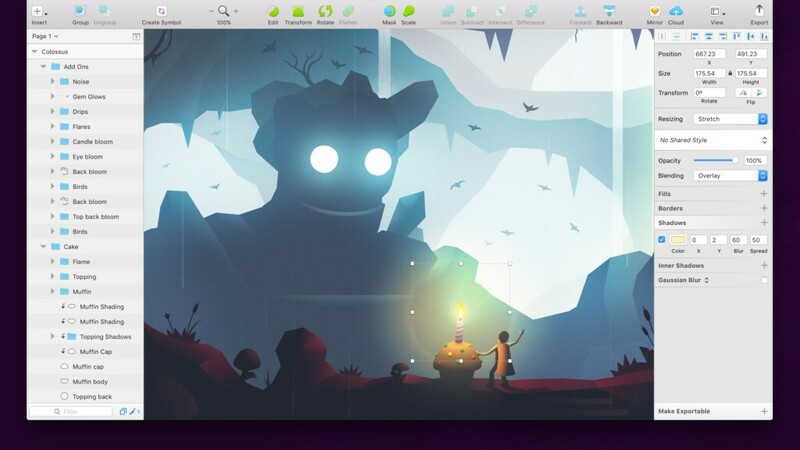 At a reasonable price of $50, we think Affinity Designer is worth the price. The program is designed from the ground up over the past five years and is built around the needs of creative professionals. The program is widely popular for its precise control over curves and vibrant colors and provides flawless geometry with everything you do on it. Most of the Illustrator can be found on AD, and often the tools are improved. If your tasks on illustrator aren’t too specific, AD has the potential to replace its competition. It’s definitely a worthwhile addition to your repertoire. 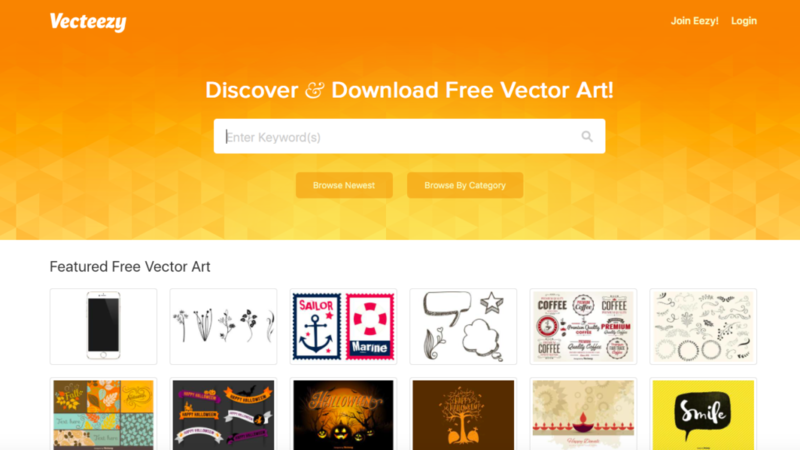 BoxySVG is a free powerful web-app for vector graphics. This browser-based alternative can also run as an extension on Google Chrome and is well equipped to create scalable vector graphic files. The program is packed with basic tools including layers, groups, paths, and stroke and fill. Adding to that, the program is super simple in its design, and has intuitive UI. When we tested it, we found that the software can be used without any prior tutorial. On the negative spectrum, the program is way too simple to provide a rich experience of creating vector graphics. As a result, the program limits your artistic approach with its minimal set of options. For anyone who wants a basic editor for vector image with a wide range of supported formats, BoxySVG could be a convenient alternative. Sketch could be a great alternative for people who like the uncluttered interface. The program is famous for its amazing high-quality outputs. It is an answer for all the people who waited for a fair alternative in the network. It features a wide range of templates and a ton of free content. Adding to that, the program is supported by a warm community of users, who know all the nuts and bolts of designing. Most of the professionals use it for designing apps for Android and iOS. The program is available only on Mac and comes at a reasonable one-time cost of $99, which as per us is fair. Once you buy the program, you are also entitled to all its future updates as well. It’s a great deal. 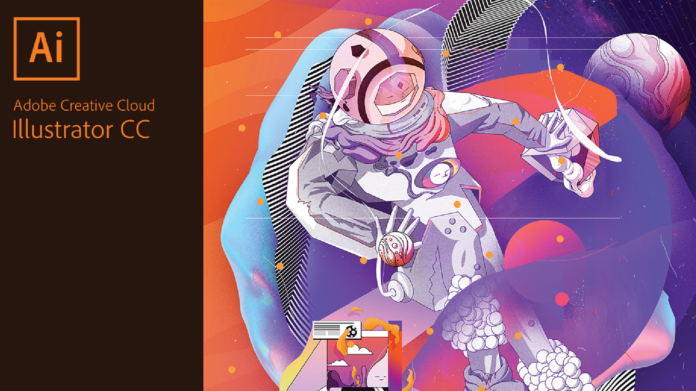 Vecteezy is another free Adobe Illustrator alternative with a great set of designs. When we inquired about the platform, we found that Vecteezy’s premium illustration designs are used by giants like Amazon, Dell, BBC and McDonald’s. And there are enough reasons why. The platform supports a wide range of formats, including SVG. Users can import in the existing file or design one, from scratch, on their browser. The other thing that we liked about the program was its Pen tool, which allows users to draw their own designs. However, there is one downside. The program warns its customer base about importing large file, due to which the browser might crash, or freeze. We like the fact that the program is aware of its limitations, and is pretty frank about the deal. 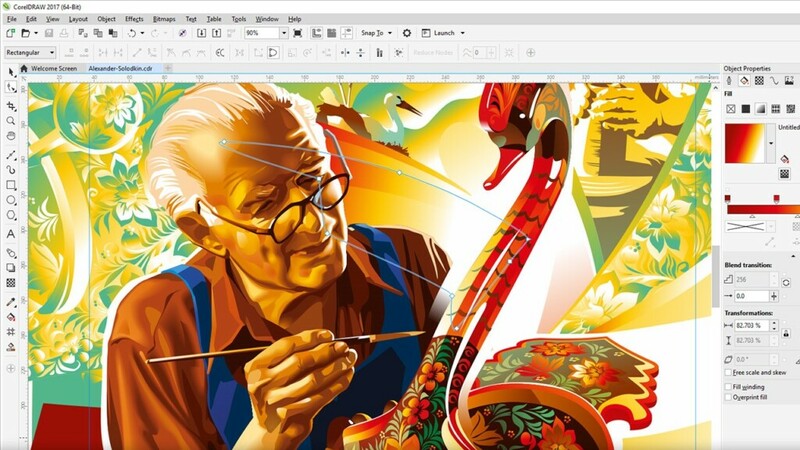 CorelDRAW Graphics Suite is an ideal tool for professionals, and even for beginners, to tackle any type of graphics project. The program features vector tools, photo editing and tracking software, precision design tools and many more. These tools help you convert your creative ideas into professional and stunning results. The suite is a seamless solution for graphics, illustrations, layout, photos, art, typography—pretty much anything. CorelDraw Graphic Suite is also known for its innovation. 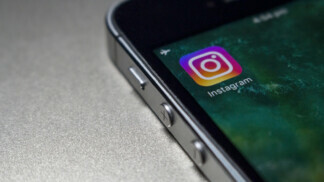 It promises consistent updates to its userbase, and keeps them up and current with the fast pace cutting-edge of design technology. The suite is also a home for an expansive set of tools of versatile applications, including Corel Photo-Paint and Corel AfterShot. It’s worth a try. Most of the vector graphic tools are primarily used to create and edit the SVG files for a website. If your requirements are around creating and editing SVG files, then SVG-Edit could be the solution for you. It can be used through any modern web browser and doesn’t cost a dime. 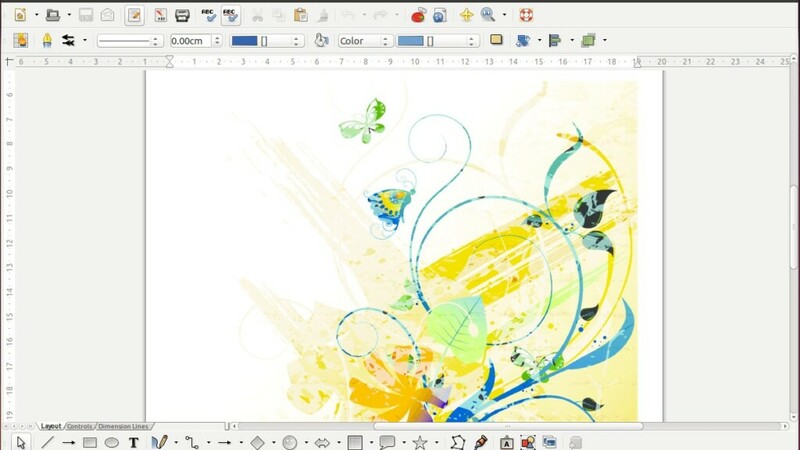 The program features basic vector editing tools including path tools, shape tools, and text tools. It also has a hand drawing option to support tablets and other drawing hardware. Adding to that, the program keeps adding new features to it. Vectr claims that it doesn’t require a massive learning curve to get started. Hence, it is an app, which is quick to learn and easy to use. Instead of stuffing it with advanced tools, Vectr focused on what most of our designs require. The program allows you to share your designs in the form of a URL, with anyone, for real-time collaboration. The recipient can continue the work on the shared document, irrespective of using web or desktop app. The program is available cross-platform, and can be accessed on the web, or downloaded to your desktop, as per your wish. 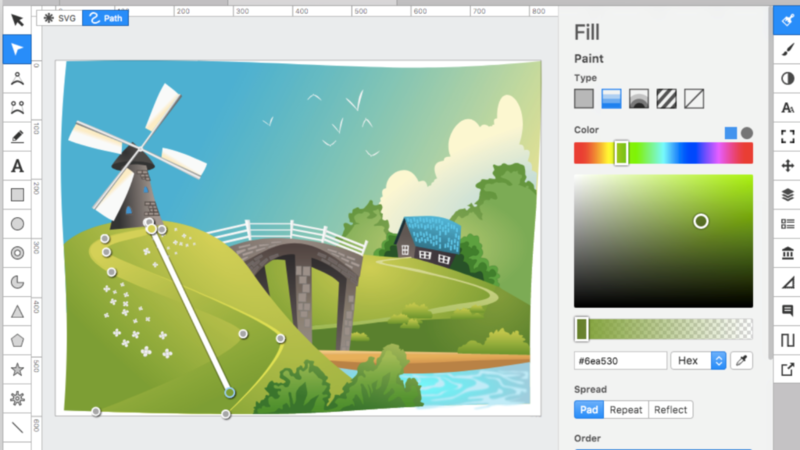 This clutter-free alternative to Adobe Illustration is designed to keep things simple and free. Highly recommended. LibreOffice Draw may not be a complete package for all types of illustration projects but it does all the basic jobs. To aptly define its function, we would say that it is a strong alternative to alternative apps. To make things clear, we also would like to mention that it is not a professional vector editor. However, it is a great tool for charting, and flowchart designs and simple diagrams. LibreOffice Draw allows you to create anything between a quick sketch to complex plan. Its graphics and drawing capabilities are great at producing general posters and technical designs. The tools on the platform help in enhancing the style and the formatting of your designs with single-click access. The program is free and open source, and thus, it is open to download and modification. You can access this program across the devices. A few years back, Gravit Designer was acquired by Corel. 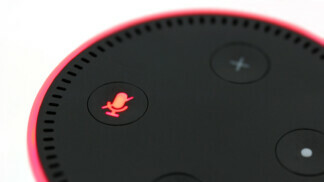 The product has improved since then, however, now it has a small price tag. 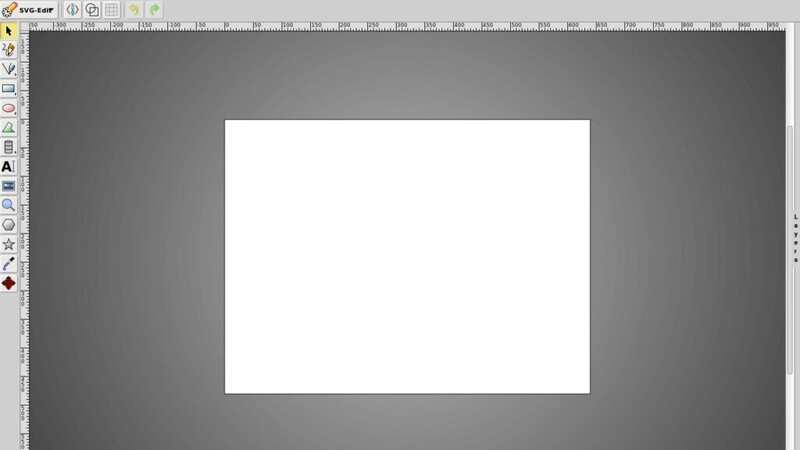 Apart from that, there seem to be no practical drawbacks of this cross-platform vector graphic tool. It is available for all the major operating systems and can be accessed through its web app. The program is popular for its simplicity. In laymen terms, it is the Canva for vector graphics. There are tons of templates and prints that you can use for your projects. Gravit Designer gives you a completely free month trial. After which it charges users $9 per month. We would recommend it to users who require simple, yet capable tools for their projects. Most of us directly link vector designs to the popular Adobe Illustration. Fortunately, there are many top-notch free alternatives in the market. Some of these alternatives even offer unparalleled features when compared to Adobe products. Here are our top picks of illustrator alternatives, which would give shape to all your artistic ideas. We have also briefly introduced the products to help you make a fair judgment. All the very best. At Technadu, we are open to suggestions. If you disagree with our list or have a suggestion that we have missed—perhaps one of your favorite vector platforms, let us know in the comments. Also, to get instant tech updates, follow TechNadu’s Facebook page, and Twitter handle.